Fans asked for Robin Williams in World of Warcraft, and it appears that Blizzard is actually going to include him in the game—or at least, multiple Robin Williams-like models have been found by World of Warcraft website, Wowhead. This is what one of the models, called "Robin <The Entertainer>" looks like. A genie! Obvious Aladdin reference. 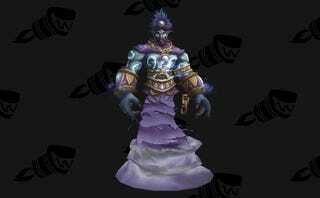 EDIT: A reader points out this model can be found in a previous expansion. Regardless, Wowhead found the model under the name "Robin," and it's entirely possible they might tweak this model—or not use it at all. 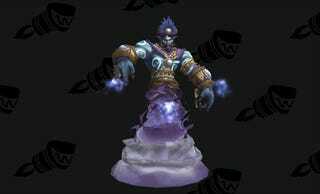 According to Wowhead, the models were found in data pertaining to the upcoming World of Warcraft expansion, Warlords of Draenor. We don't know if these models will actually make it into the final expansion as-is, but we'll keep you updated. Considering that Blizzard said they were "taking care of it," and given that Williams was a big gamer who liked World of Warcraft, chances seem high that there will be some sort of nod to the beloved comic in the game, even if it's not these models specifically.